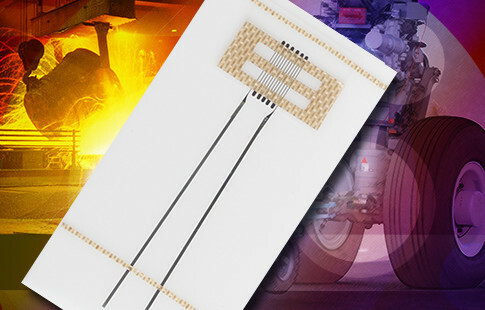 Strain gages (gauges) for extreme temperature strain measurements up to 2100°F (1150°C). Primarily intended for dynamic measurements of strain using constant-current excitation and installation with ceramic cements or the Rockide® flame-spray process. 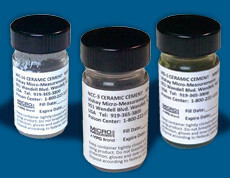 Micro-Measurements offers three solutions in the form of Wire, Foil and Weldable free-filament gages. 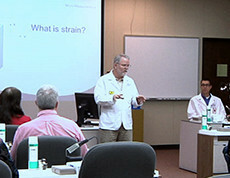 Limited static strain measurements are possible under some application conditions. 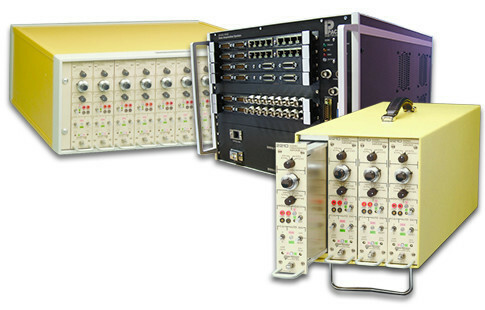 Micro-Measurements 2200 System. Analog amplifier with features for use in extreme environments, including switchable voltage/constant current excitation, wide frequency response, auto balance, filters, and 350V common mode capability. Pacific’s Series 7200 is a strain gage and transducer data acquisition network appliance. Each module conditions, amplifies and digitizes the outputs of up to sixteen strain gage, bridge or voltage transducers. The rugged enclosure is designed for installation in wind tunnels, engine test stands and other facilities where it is desired to locate the DAS close to the test article, ultimately reducing installation and cable costs as well as improving signal quality and reliability. Pacific’s Series 7300 increases the bandwidth and sample rates of the popular 7200 ruggedized data systems. 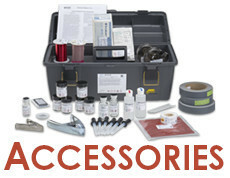 Also, for other instrument solutions visit www.pacificinstruments.com. ZWH-, ZWN-, and ZWP-Series strain gages are designed for dynamic and limited static strain measurement at temperatures up to 1900°F (1038°C). These strain gages are manufactured using a round wire for superior bonding ability and performance. A high-fatigue wire (Option Z) is also available on each of the gages. These gages are supplied with a fiberglass-reinforced tape carrier which holds the grid and leads in place during installation and are bonded using ceramic cements or Rokide® flame spray. 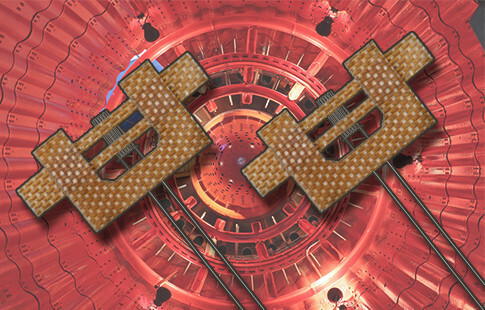 ZC-Series strain gages are etched Kanthal (Fe-Cr-Al alloy) foil grids in free-filament form for high-temperature applications up to 2100°F (1150°C). Several patterns are available with built-in compensating grids. ZC-Series strain gages are supplied with a removable high-temperature carrier for gage handling during installation. 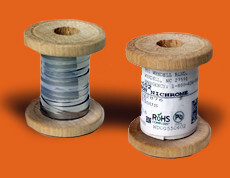 All patterns have 1-inch (25.4 mm) Nichrome ribbon leads spot welded to the gage tabs for leadwire attachment. 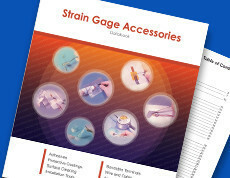 Micro-Measurements high-temperature weldable strain gages are free-filament wire strain gages pre-bonded to shim stock using flame sprayed alumina. The gages can be welded to the test structure using a capacitive discharge spot welder (such as Micro-Measurements Model 700), permitting easy installation in the field, especially on large structures. The fatigue resistance of this bonded wire strain gage makes it the best choice for dynamic, impact or vibratory strain measurements to 1800°F (980°C). 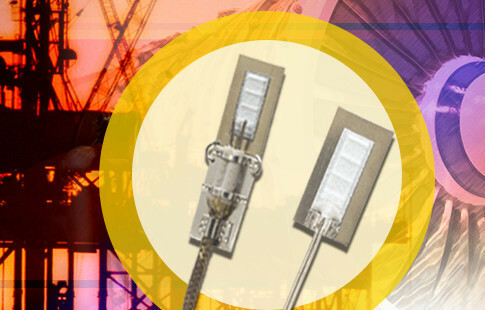 Our databook describes a wide range of accessories used to install electrical resistance strain gages. Ribbon leads necessary to attach lead wires to High-Temperature series strain gages.